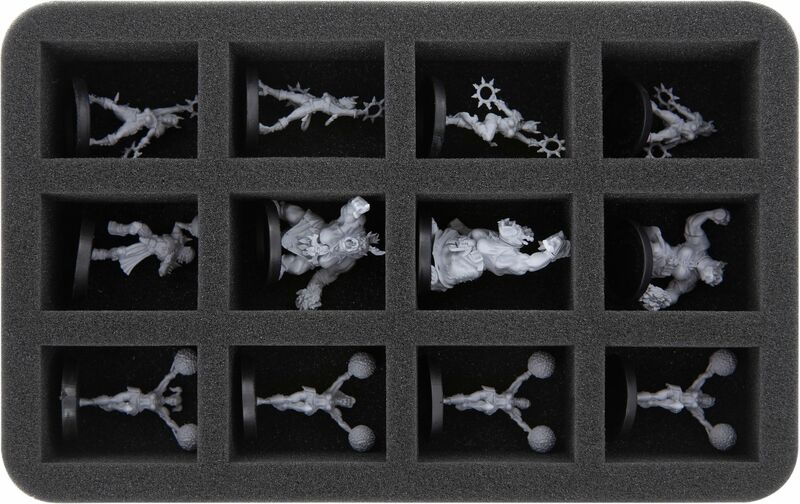 With 12 compartments, this foam tray offers you room for up to 12 Blood Bowl cheerleaders, such as The Reaverettes, The Waaghs! or The Damned Damsels. Sensitive parts of the figures are protected from damage and the colors of painted models are preserved. 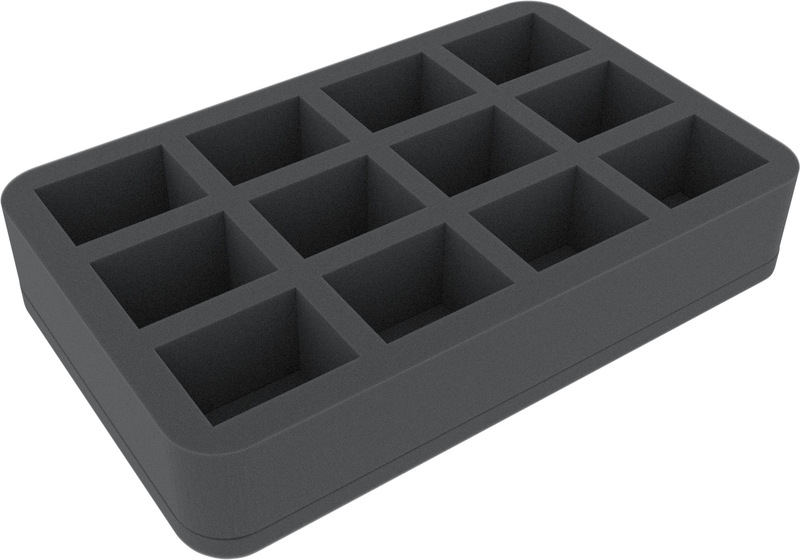 The foam tray has the dimensions: 275 mm x 172 mm x 50 mm (40 mm usable height + 10 mm foam base).